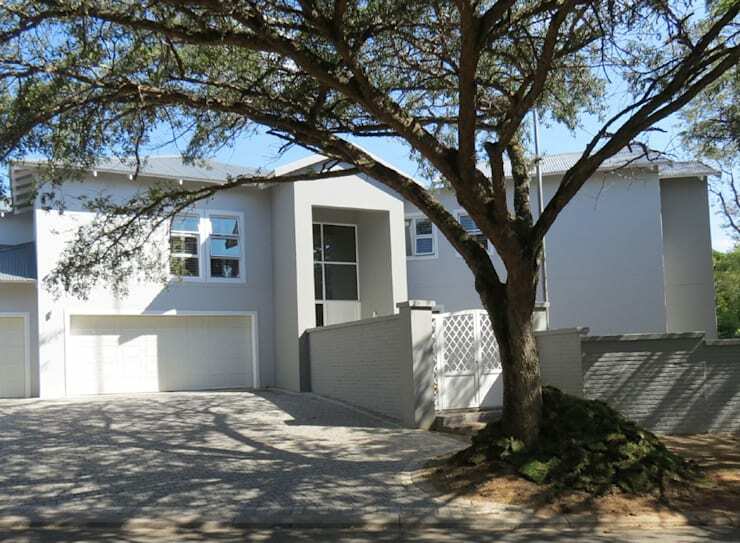 There is nothing better than admiring South African architecture and design as it shows how local competes with some of the best houses in the world. 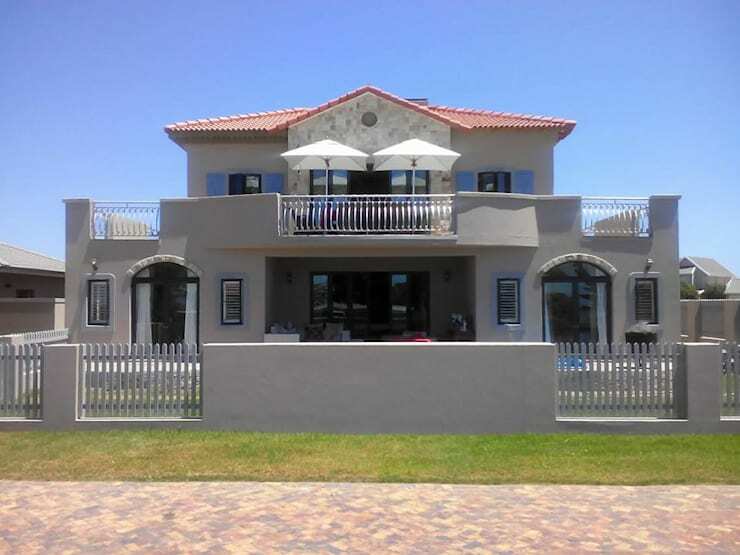 This is why today at homify, we have brought you 13 South African homes that you'll want to move into right away. You'll be so impressed by the varieties available as well as how local is simply lekker . What's more is that as you explore the ins and outs of these beautiful homes, you'll realise that's there is a possibility for you to own something similar. You can copy these designs, designing your dream home depending on your tastes. 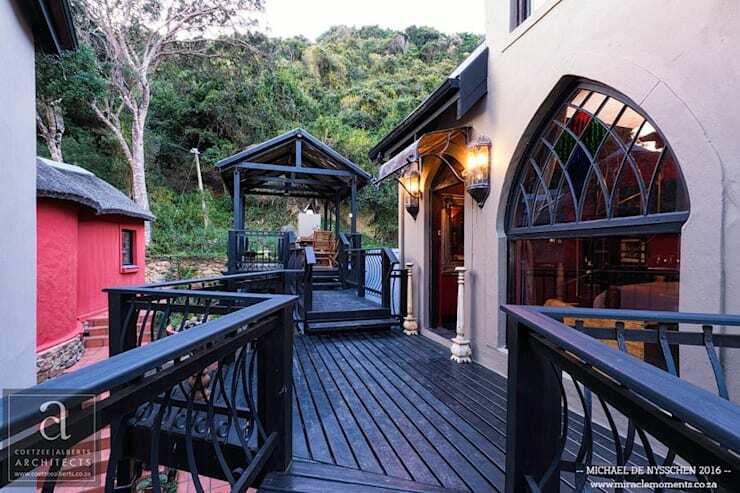 Let's explore 13 top South African homes and see just how impressive the local industry truly is. 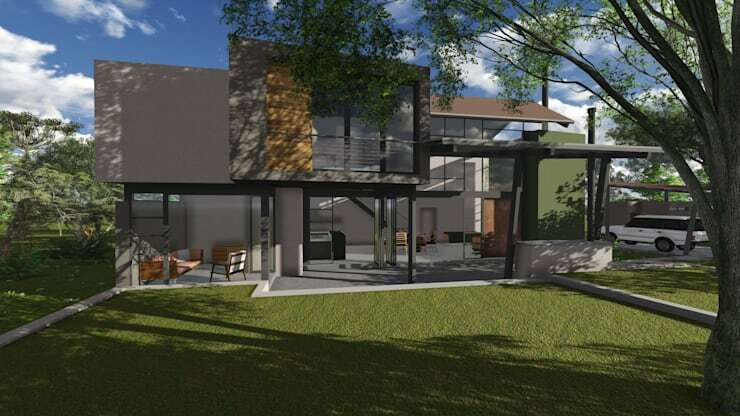 This home, designed by professionals Rudman Visagie, is a wonderful example of how a modern home can work in harmony with other styles. This one takes on a slightly Tuscan look and feel with blue shutters and gorgeous, arched windows. 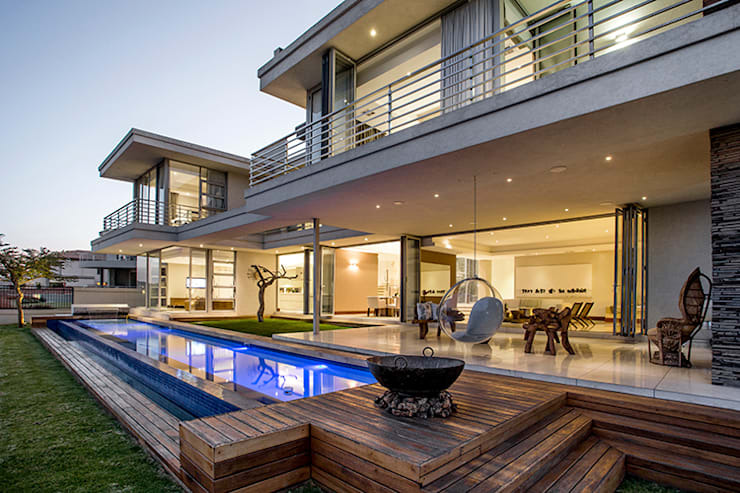 Francois Marais Architects have designed this very sleek and savvy modern home that spills out onto large and expansive outdoor spaces. The wonderful thing about South African architecture is how it can work with the beautiful landscape common to many of our cities. 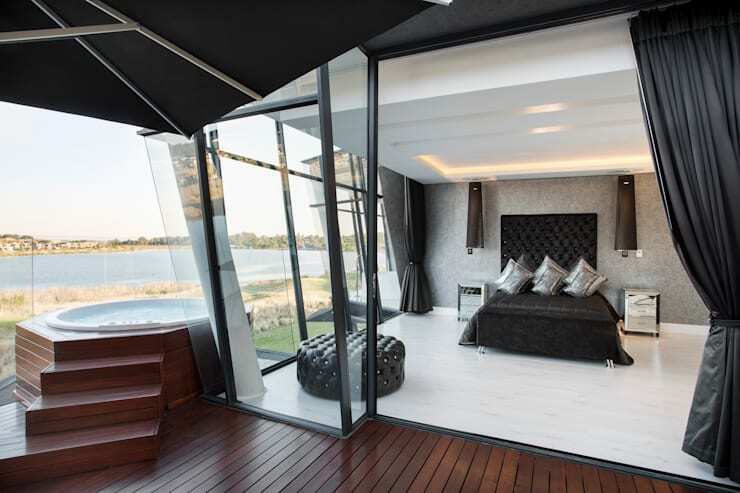 In this design, also by Francois Marais Architects, we come across a home that features large glass windows and doors, allowing the interior of the home to work in harmony with the impressive views. 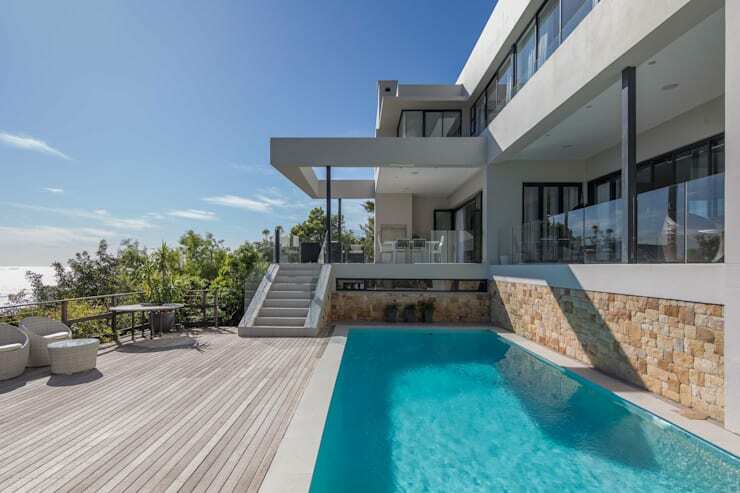 Designers Reinier Bronn Architects & Associates have built this home, ensuring that it features a gorgeous terrace where family and friends can interact in the beautiful South African weather. 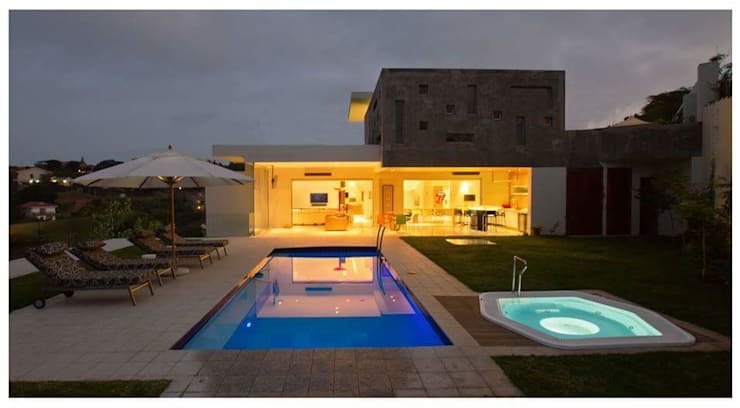 This design shows how with a large enough property, you can enhance your home design by building a swimming pool. This is also creates a multi-functional area, where you can play with the kids, workout in the water or simply enjoy the warm, summer months. 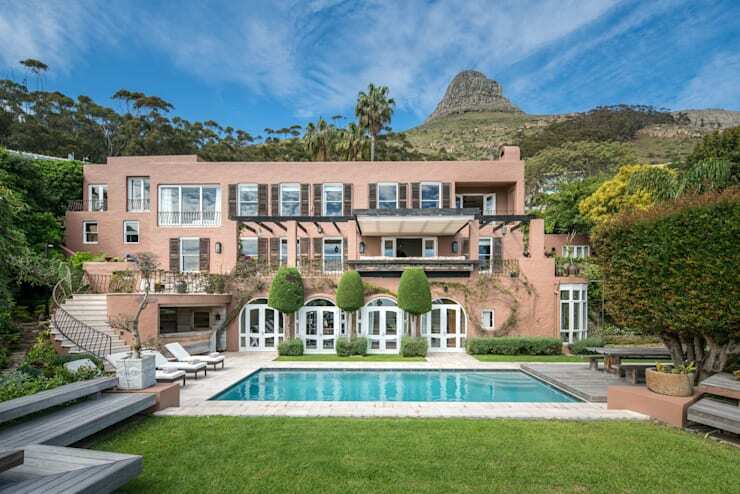 This home, based under Lions Head in Cape Town, is one of the larger homes that we see today but is simply stunning with its sleek, flat roof and pale pink facade. It also has more than enough room for all of the friends and family that could possibly come to visit! Designed by Marvin Farr Architects, this is a home you'd never want to leave! 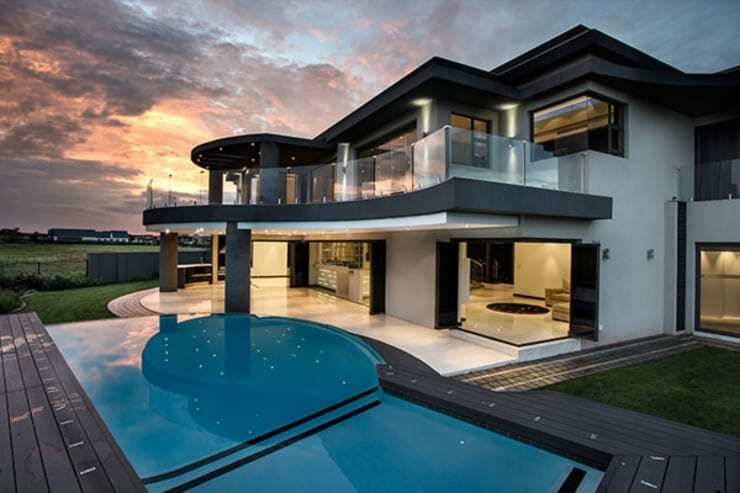 This elegant home features a classic black and white design with curved lines that soften the design. Even the swimming pool features curved lines! This home features dark wood in its design, which creates a very appealing and homely design. Don't you love the wooden deck and the lanterns on the wall, which illuminate the facade? 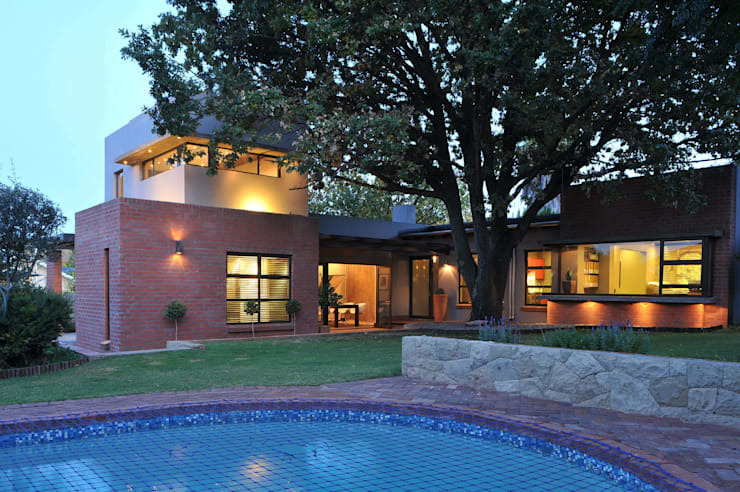 Designers Coetzee Alberts Architects have managed to achieve a wonderful mix of modern and traditional with this family home. A minimalist house with clean lines and functional precision can sometimes be all that you need for the most appealing home on the block, like this one by Marvin Farr Architects. Go for a white design to create an elegant, stylish and timeless design, like Spiro Couyadis Architects have achieved here. 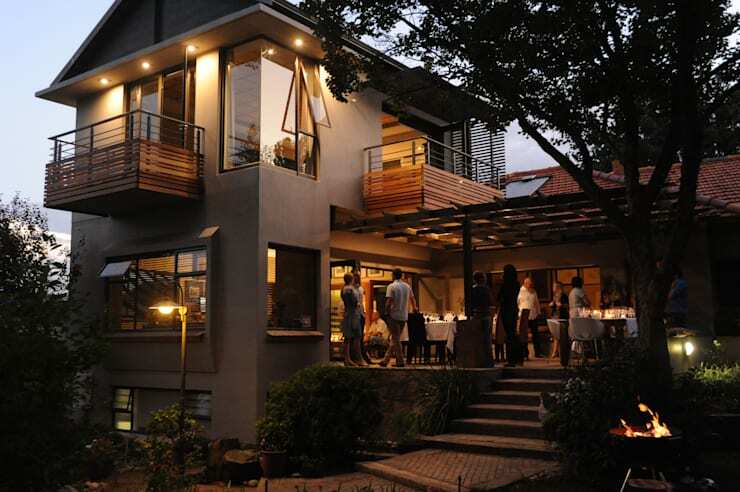 Designers CA Architects have used lighting to really illuminate the beautiful design of this modern and stylish South African home. The garden also plays a huge role when it comes to the look and feel of your home. Go for a neatly manicured lawn, pruned trees and plants and bright and colourful flowers. This home, by Orton Architects, is a wonderful example of how style and nature collide. We end off our tour looking at this creation, by Jenny Mills Architects. It features a soft, cream facade with an abundance of large glass windows and doors, connecting the home to the outdoors. Have you ever seen something so sophisticated? Also have a look at these: 9 South African living rooms to get inspired by.